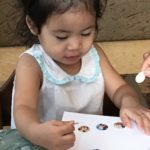 Traveling with a toddler: Traveling Essentials that you must bring with you | Chronicles of a Teacher Mom - Tanya is an early childhood educator. She graduated with a degree in Family Life and Child Development from UP Diliman and received her M.A. in Leadership in Education from Pacific Oaks College in Pasadena, California. At least once a year, My husband and I plan a family destination (whether here or outside the Philippines). We value traveling as this is also education beyond the walls of the classroom. It allows our children to experience what they read in their books or what they learn from school. I’ve always believed that traveling with a toddler, let alone two young children is a major production. Whenever I would discuss it with my mommy friends, we would all agree that planning is key. Planning doesn’t just entail “the activities you’ll do when you get to your destination” but it also includes the things you would bring with you. Aside from the essentials (clothes, medicines, etc. ), I make sure that I always bring the following items whenever we travel. Books: I always bring with me a couple of books. I usually bring the handy-ones, so either boardbooks or the lighter ones so it’s easier to pack. I also make sure that I bring along those that my children like Or I would sometimes bring a book that they haven’t read for some time. These books really help whenever we wait for boarding or even when we are just waiting for a the bus or train to arrive (in a different place). 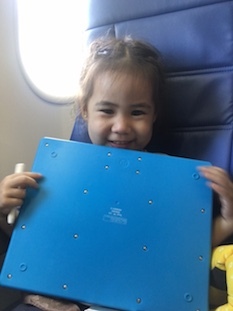 2.Activities for Arts & Crafts: I haven’t ridden in an airline that gives free sticker books or coloring books for children. That’s why, I always bring our own materials just in case. 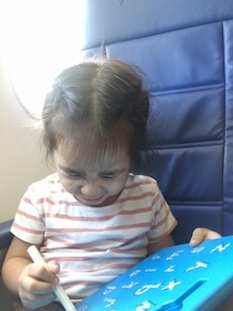 Sticker books, coloring books and stamp pads really help “kill time” especially if Ellie and Julia are still not yet sleepy during flight. 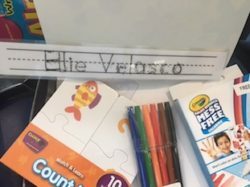 I also bring a pencil case filled with markers, crayons together with a drawing pad so they can just doodle, draw and color anytime they want. I recently found out that Ogalala World has these items on stock in their stores. It’s absolutely appropriate for toddlers and preschoolers. 5. 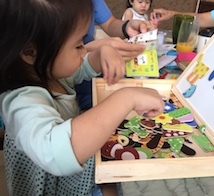 Play materials: I bring along with me a few puzzles such as the Match and Learn Puzzles and board games to keep their hands busy. Here are just some of what I always take with me. 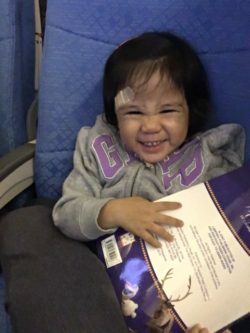 One thing I’ve learned whenever we would come home from family trips is that it’s possible to still be “gadget-free” even when you are traveling. 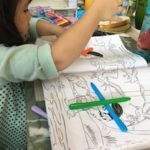 My husband and I agreed that we should exhaust all our efforts first in letting our children play with all the materials we brought with us before we resort to letting them watch a video from our phones. (I actually downloaded a few educational apps on my phone just in case we would use it but I was surprised that time flew so fast that before we know it, the plane has landed already). 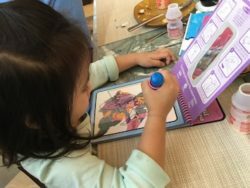 You can purchase the items (Melissa and Doug’s Water Wow; Crayola’s Color Mess Set and Match & Learn Counting Puzzles) via http://www.oga-lala.com or you can visit any Ogalala Stores (Shangri-la Mall and Ayala 30th Mall). Use the coupon code: TTANVEPLAYSF to avail of the 20% discount. Tanya is an early childhood educator. She graduated with a degree in Family Life and Child Development from UP Diliman and received her M.A. in Leadership in Education from Pacific Oaks College in Pasadena, California. She recently completed the RIE (Resources for Infant Educarers) Foundations class. 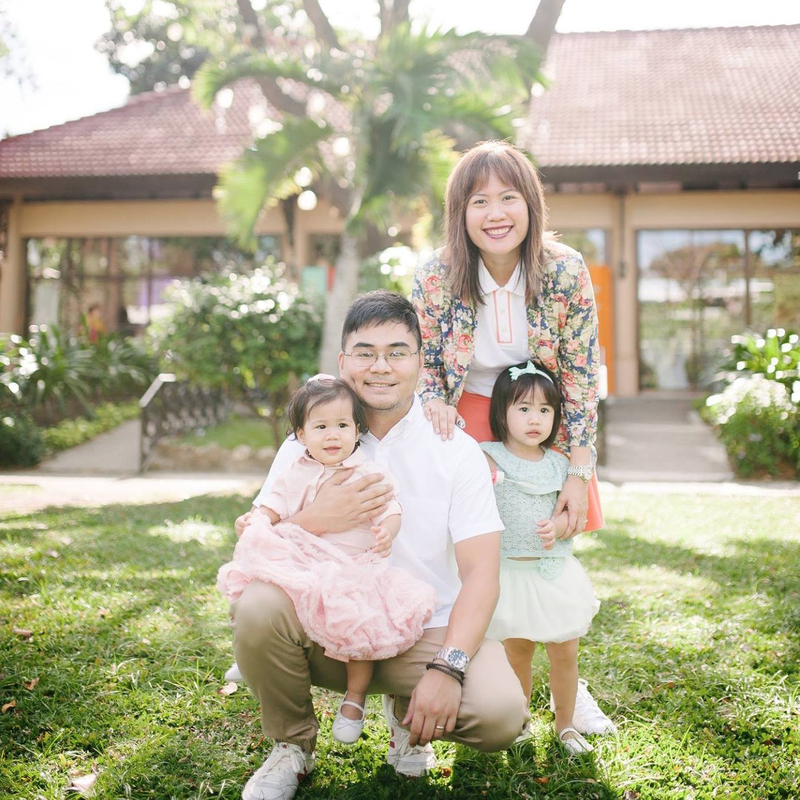 When she’s not in the classroom, Teacher Tanya is enjoying her primary role as a wife to her husband Mike and as a mom, to her daughters, Ellie and Julia.